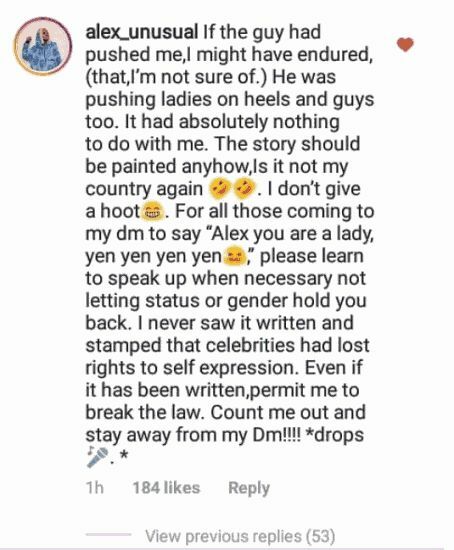 Big Brother Naija's Alex, who was the red carpet host at comedian AY's premiere for his new movie, was filmed in a heated argument with a security guard during the event which took place over the weekend, and the video went viral Yesterday. Read here Well, the former big brother Naija housemate, has reacted to viral video. See her comment below..